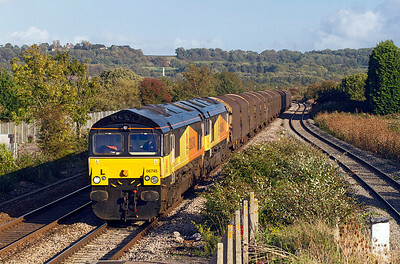 Ex DRS Malcolm liveried 66412 heads 4V50 10.54 Southampton to Wentloog Freightliner down Pilning Bank towards the Severn Tunnel. 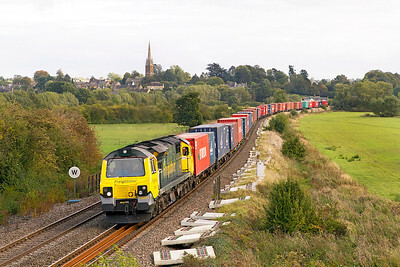 Friday 30th September 2011. 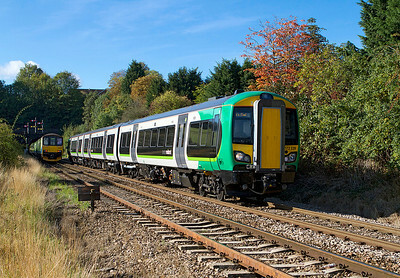 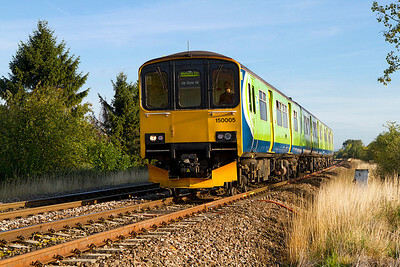 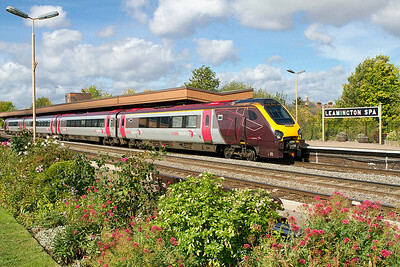 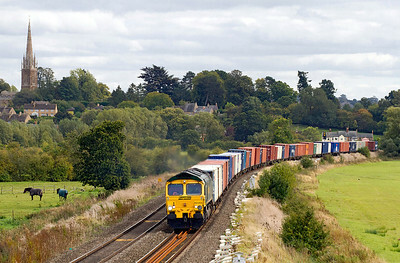 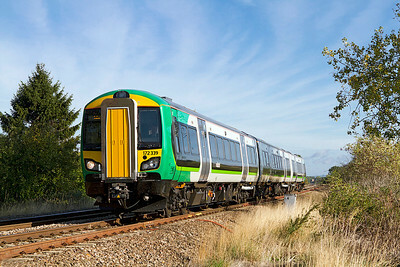 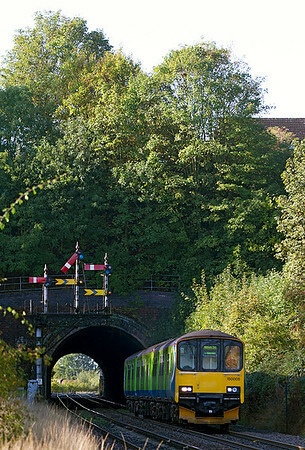 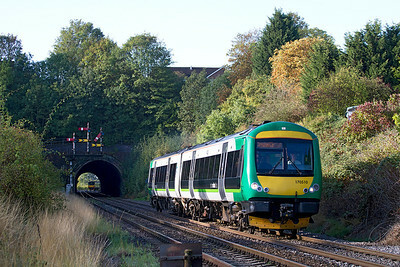 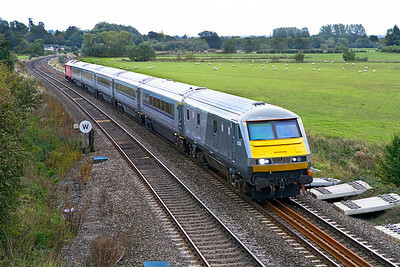 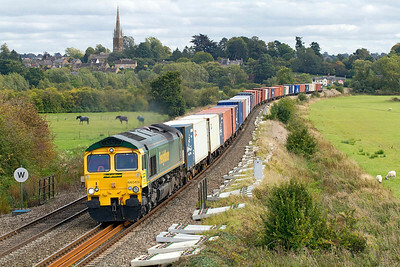 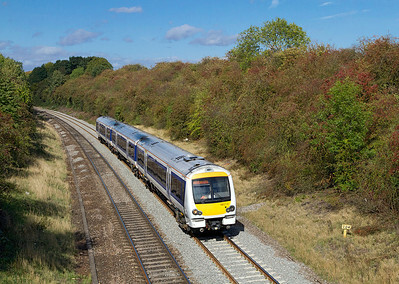 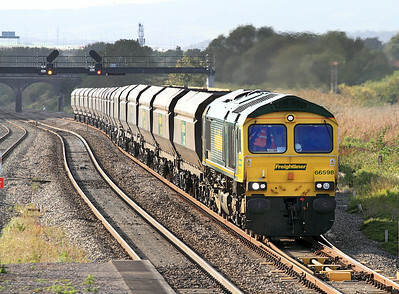 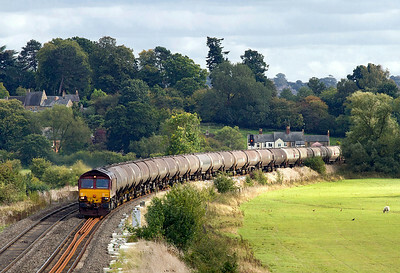 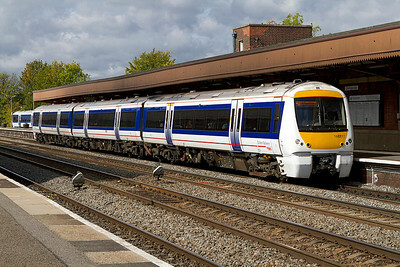 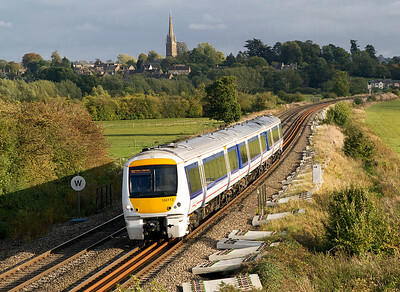 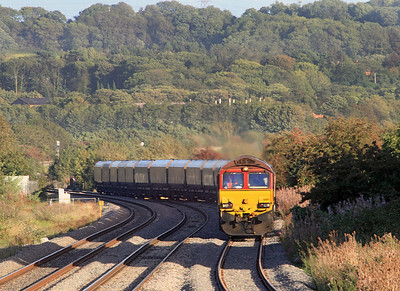 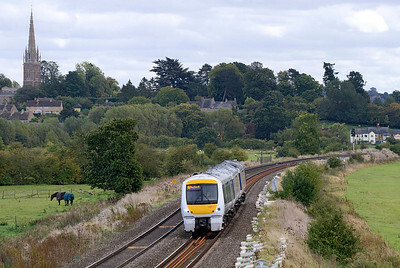 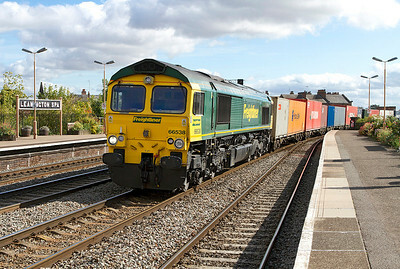 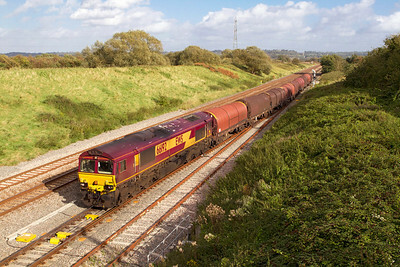 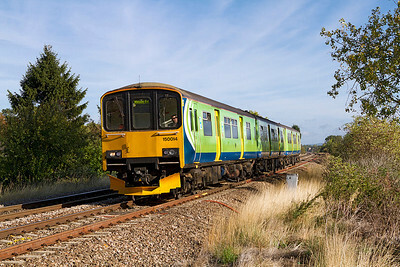 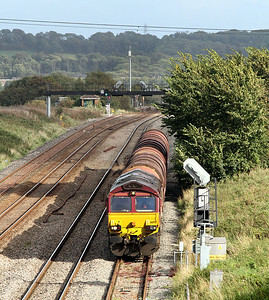 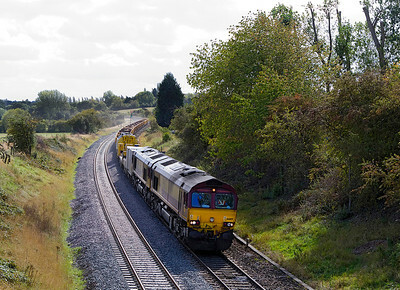 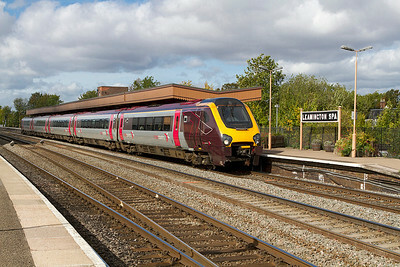 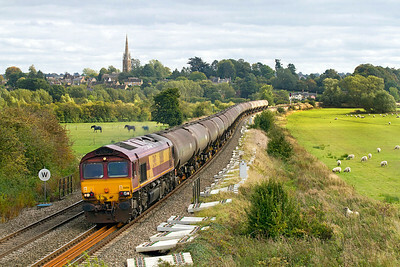 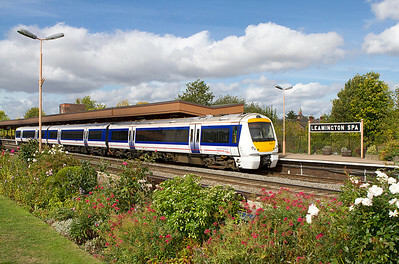 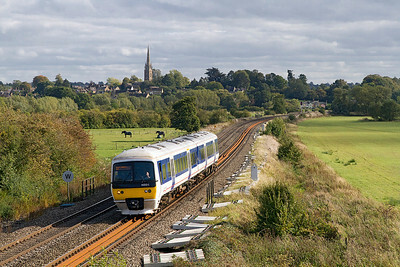 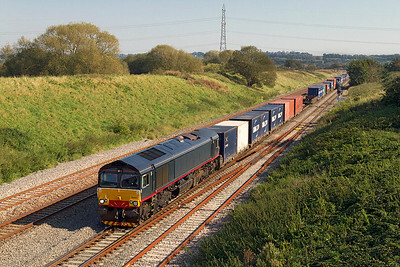 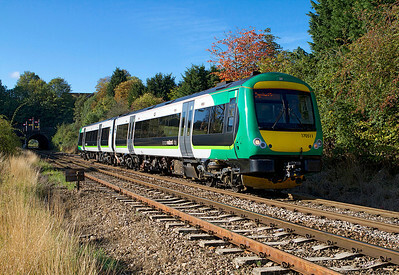 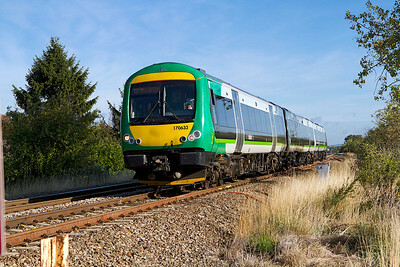 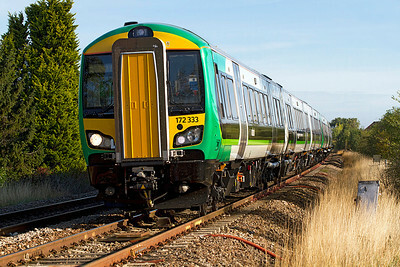 A Birmingham Snow Hill to Hereford service approaches Rainbow Hill Tunnel, Worcester, Wednesday 21st September 2011. 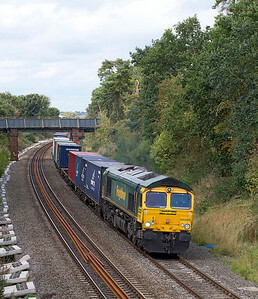 66565 heads 4M61 12.55 Southampton to Trafford Park past Kings Sutton, Wednesday 21st September 2011. 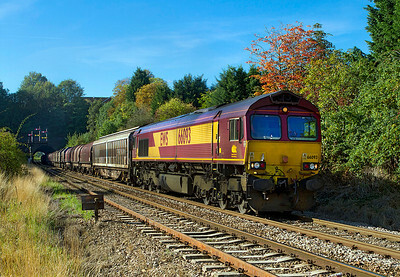 66093 emerges from Rainbow Hill Tunnel, Worcester with 6M81 02.27 Margam to Round Oak loaded steel, Wednesday 21st September 2011. 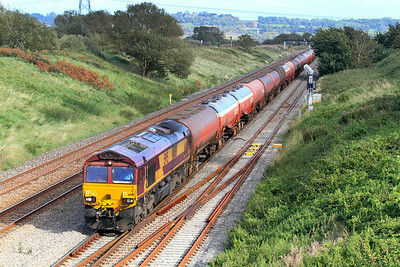 66745 with 66742 DIT passes Pilning Station with 6Z78 11.46 Dollands Moor to Llanwern steel carriers, Tuesday 13th September 2011.